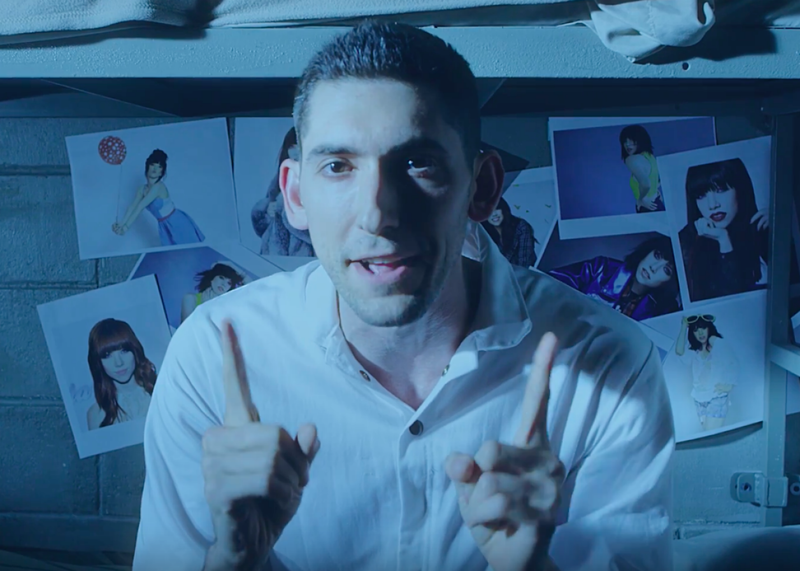 Max Landis writes 150 page theory about Carly Rae Jepsen songs. Max Landis is a writer of screenplays, comic books, and now, a 150-page exegesis on Carly Rae Jepsen songs. Landis, the mind behind Chronicle, American Ultra, and the upcoming remake of his father’s film An American Werewolf in London, has launched a new website called A Scar No One Else Can See dedicated exclusively to his complicated theory about “the Jepsen Pattern.” In a sprawling manifesto, Landis posits that all of the Canadian pop star’s songs—even the ones she didn’t write, but only covered—fit into a very specific three-act narrative, and that Jepsen’s happy-go-lucky-sounding music is actually the soundtrack to a suprisingly dark story that she tells over and over again. Landis even borrows a line from Dante’s Inferno for the introduction of his elaborate theory: Lasciate ogne speranza, voi ch’intrate. (Usually translated as: Abandon all hope, ye who enter here.) But don’t be fooled by the self-deprecating video—Landis is quite serious. “This is a big and clumsy YET SINCERE gesture,” he writes in his introduction, describing the screed as a “living document” that he wrote as he researched. Accordingly, he blends analysis of individual Jepsen songs with anecdotes and asides from the journey to discovery. Lyrically, it seems to tell the story of a young hesitant, shy girl who was going through a rough emotional situation, until she fell in love with an overworked/unhappy/ emotionally unavailable platonic male friend, possibly a professional peer. He flirted with her first, and she hesitated, but finally gave in and things got out of control, becoming sexual. This is characterized as “wrong” or a morally “dark” choice, needing to be kept a secret. They have a brief romantic, or at least sexual relationship; it’s escapist fun, but she becomes obsessed, says things she regrets. He ultimately rejects her, trying to step back the relationship to “just friends,” she is devastated and endlessly pleads for him to give her a second chance, frantically switching between open begging and attempts at manipulation, appealing to his black heart or worst nature. You can read the entire theory piecemeal on Landis’ site or all together here as a single document. Whether you find his arguments compelling or you think Landis has too much time on his hands, he seems to think the effort was worth it. The only thing more gratifying than watching people discover the pattern is seeing people become aware just how many great songs Jepsen has. As a result, for his dedication to Jepsen’s music, we at Slate are proud to award him the honorary, Jepsen-worthy title: king of penning manifestos.